Easter is a great holiday celebrated all over the world. BTW, are you ready for it? How do you usually celebrate Easter? Do you like to gather with family and friends or maybe you prefer to spend this time on your own thinking about the eternal things like the sense of life and your mission on Earth? In any case, everybody likes Easter cakes, funny bunnies, dyed eggs, and other holiday goodies. Traditional Easter celebration and entertainment are especially loved by kids. Well, even if you are a serious web designer, developer, or simply entrepreneur running his/her own business and dreaming to present it online, we know how to make you happy this spring! TemplateMonster marketplace carries out a grandiose spring sale! From 9th to 11th of April you will be able to buy any of the company products with a discount of 35%. If you like to save, it’s time to visit their website. The guys are one of the leaders in web design and development industry. They have 15 years of experience in the market, so purchasing from the company you can be sure that you get the top quality products that comply with the latest web development standards and web design trends. TemplateMonster has nearly 27 000 items in stock, so you will have a great choice. All themes and website templates are easy to customize and maintain in the future. You don’t need to be tech-savvy. All complex job has been already done instead of you. What is waiting for you down below? We understand that you are short of time with all this holiday fuss and decided to simplify the task of choosing a template for you. 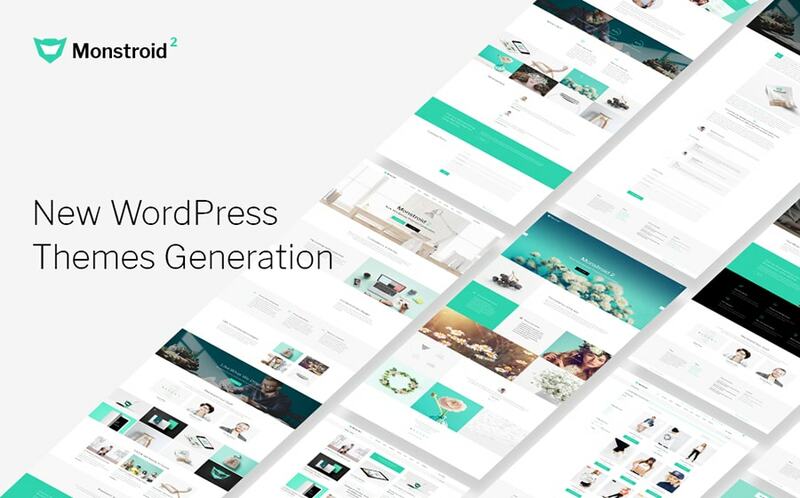 You will see 20 flagship & best-selling templates compiled in one single article. They are suitable for any kind of business as the templates are multipurpose by nature. Their layouts are stylish and modern. Moreover, they are extremely feature-rich. Your best choice at the best price. Are you ready to browse this amazing holiday collection? You are welcome to make your pick. We advise you to go and browse the templates straight away as the holiday promo terms are limited. Have an enjoyable experience and happy Easter! If you are looking for a universal solution for your project, Monstroid is exactly what you need. It comes with essential custom functionality and the diversity of multiple layouts and design skins. You’ll love the choice of header and footer sections layouts. All you need to do is add your phone number, address, working hours and other relevant buttons and call-to-action to make it work. 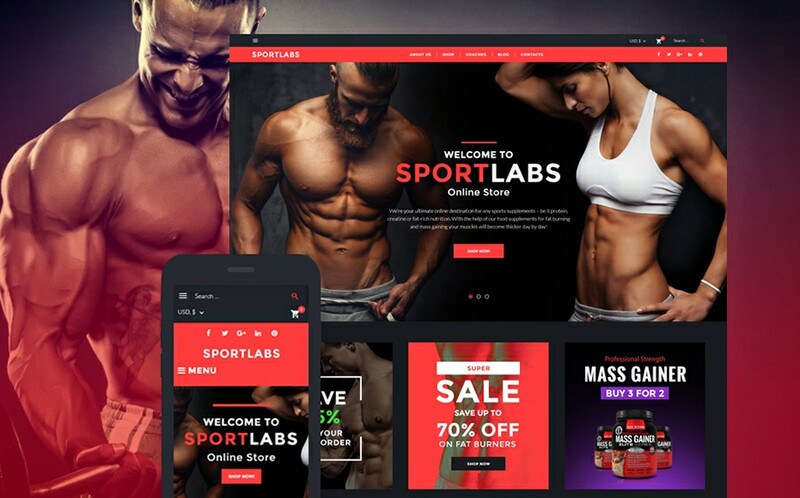 This thoroughly built multipurpose theme is powered by Elementor. The live page builder enables you to edit pages in real time even without any coding skills. The theme is delivered with 12+ gorgeous home pages. Actually, you get the bunch of fully-fledged homepage layouts to build 9 different single page websites. The theme is equipped with drag-and-drop page builder. It lets you build pages easily without knowing the code. The theme comes with more than 25+ modules, library of presets, and drag-and-drop functionality. Advanced set of configuration options facilitates easy customization of your theme design. Intense is a theme allowing to create your own business, blog, or any kind of activity quick and easy with pre-designed niche templates. You can choose from a wide variety of awesome ready-made header and footer styles or just create your own. The theme is loaded with Novi Builder. It is a perfect match for both non-techies planning to launch their own websites, as well as coding experts delivering web products for their clients. 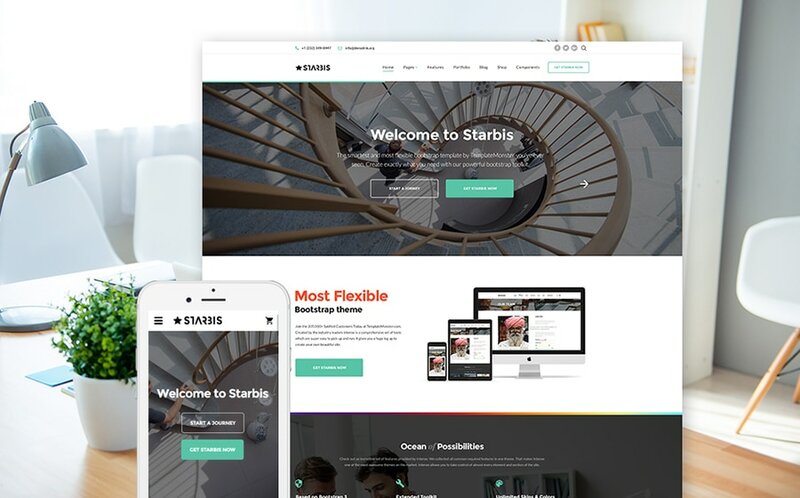 Starbis is extremely responsive and retina template. So, your website built on its basis will look absolutely perfect on any portable gadget screen. Are you a designer, an artist, or simply a creative person? 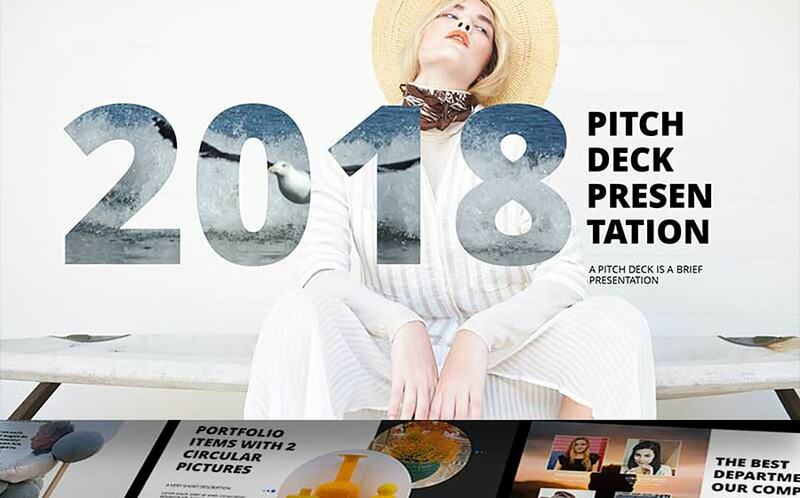 Showcase any of your products or projects with a great selection of portfolio templates. 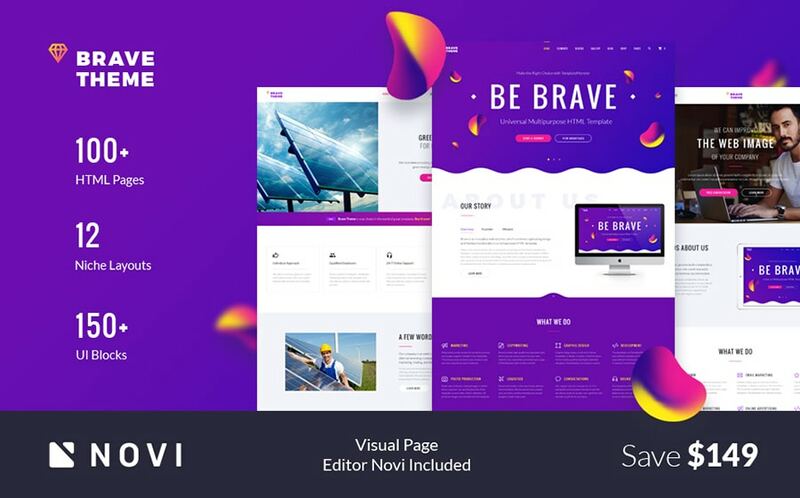 Brave multipurpose responsive HTML website template is delivered with optional visual page editor – Novi. The theme has a content-driven design. It comes with over 150 UI blocks that showcase developers’ detailed design approach. 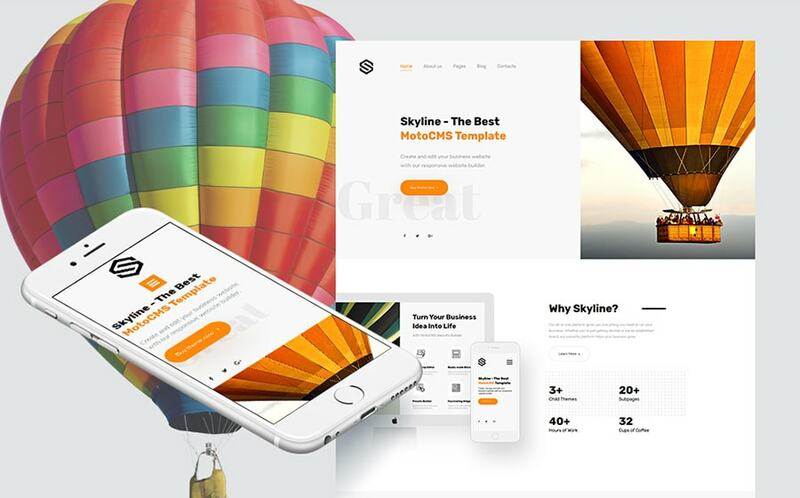 There is a pleasant surprise waiting for you inside the template’s package – you receive all images of the template for free. 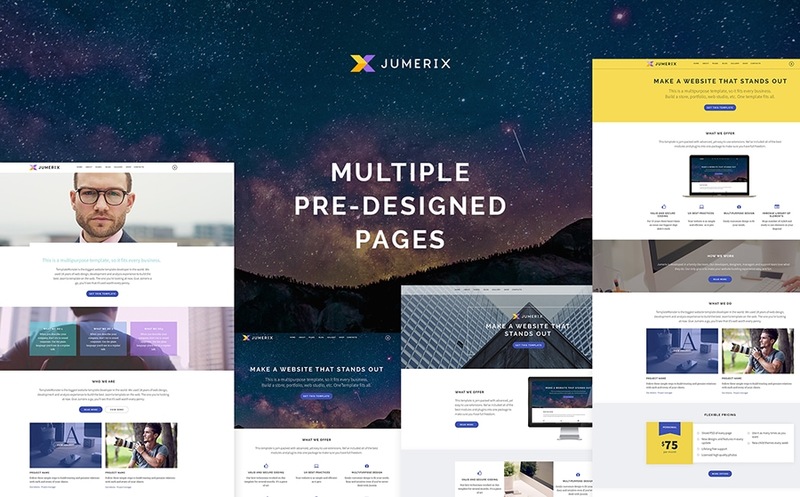 Jumerix lets you bring color changes to your site palette via a frontend switcher. Using this tool, you can adapt the default color scheme to your corporate style with a single click. The theme allows running a fully-fledged store on your site thanks to VirtueMart integration. It comes with pre-designed shop pages that you can use out of the box. 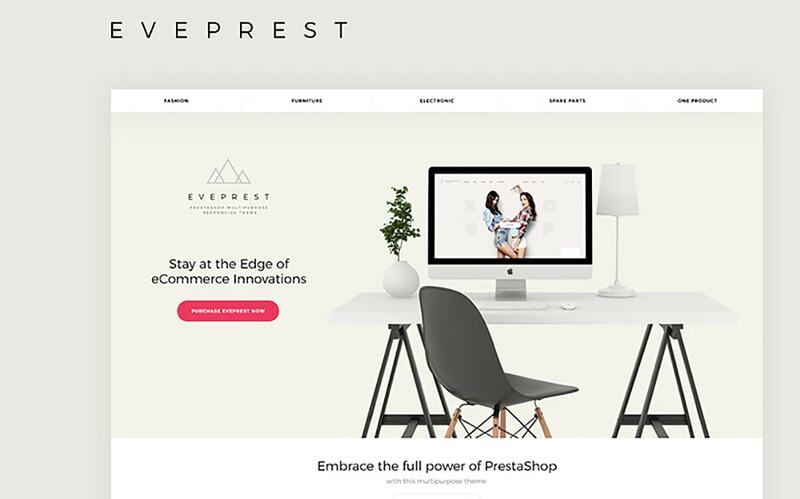 This fully-featured premium PrestaShop template comes with 10 themes for every purpose. It was developed with the help of TM Mega Layout Builder. It allows you to shape the homepage of your online store to your discretion. You can choose from a number of layout blocks (Header, Footer, Top Column and Home), and combine them the way you wish. 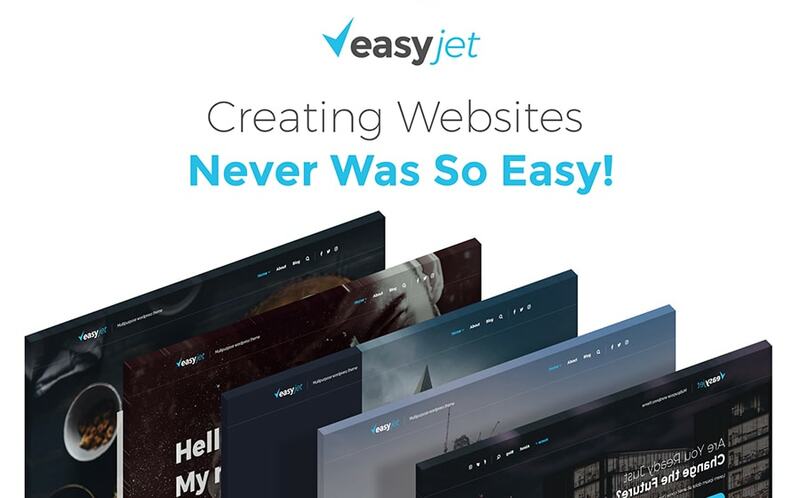 Each Eveprest theme comes with 4 ready-made, conversion-optimized homepages to get you started. 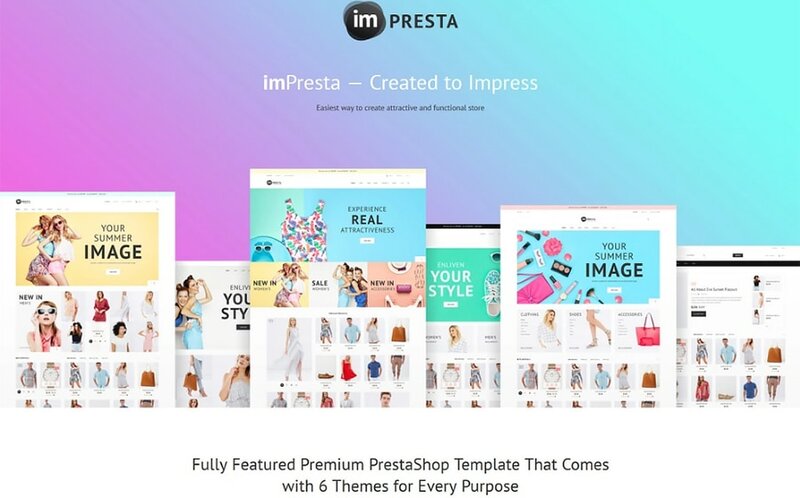 imPresta PrestaShop theme is shipped with the unique set of features. It is created with Mega Layout Builder. It’s incredible, but you get tons of exclusive modules and save $811. They help you manage your store effectively. It comes with 6 pre-made layouts that are included in the package. The theme is provided with catalog and store models. It is created with Mega Layout Builder. 3 pre-made layouts are included in the pack. You get tons of exclusive modules helping to manage your store with this theme and save $700. Magetique is designed to convert. The developers combined slick visuals with user experience knowledge to bring you the most advanced store designs and layouts. They facilitate conversions by creating an aesthetic and intuitive shopping experience. It includes 5 premium topic layouts. Each topic comes with multiple homepage layouts for added design versatility. If you need to run multiple stores from a single admin panel, Magento is a perfect option for you. It is a highly flexible platform that can be scaled to stores of any size. The platform ensures ultimate security through SSL to let customers feel safe making purchases at your store. The great news is that you save $265 with TM Modules included into the template price. 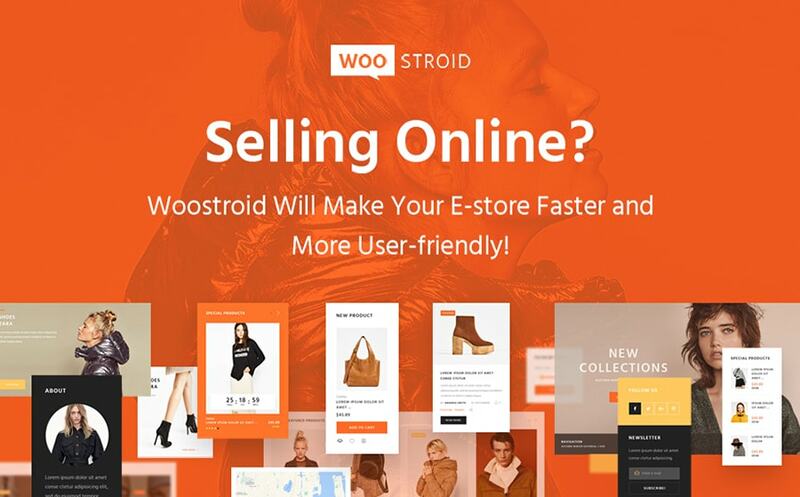 Woostroid will make your e-store faster, better, and more user-friendly with a wide range of unique features. 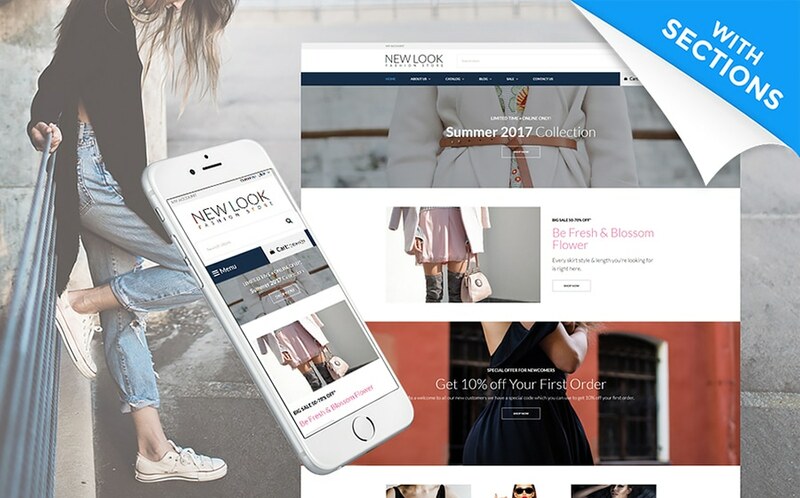 The theme was developed for online sales. It supports both Woocommerce & Ecwid plugins. The theme is delivered with 24/7 customer support via email & chat and free updates for as long as the theme adds new features. This powerful solution for gyms, sport nutrition, fitness coaches, etc. is shipped with multiple layout options. It gives you the possibility to choose from a large set of layout options and experiment with your pages structure. This will considerably speed up your building process. Just save your favorite layouts in a built-in library and use them whenever you need to create a new page. The theme is delivered with drag & drop editor with 100+ ready-made content blocks. It offers 5 home pages layouts. 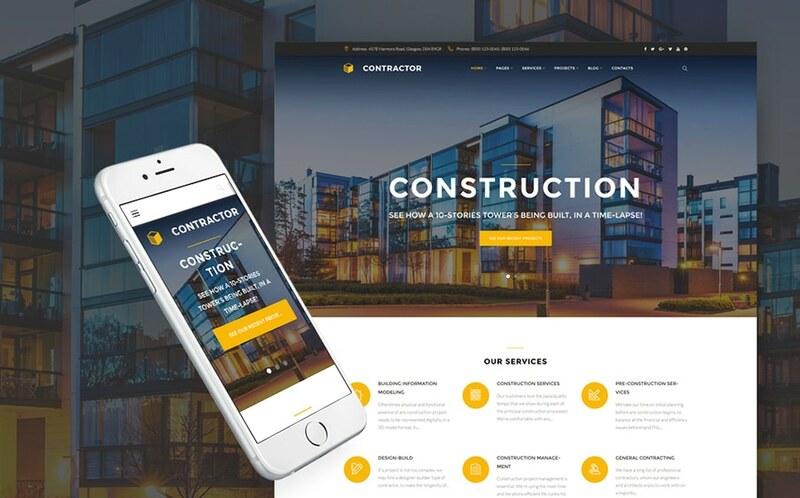 They will help you create outstanding website for dentist, travel agency, house construction company or just customize the universal main theme for any other niche. Skyline is extremely responsive and looks perfect anywhere: on desktops, mobile devices, tablets, any browser, and any operation system. 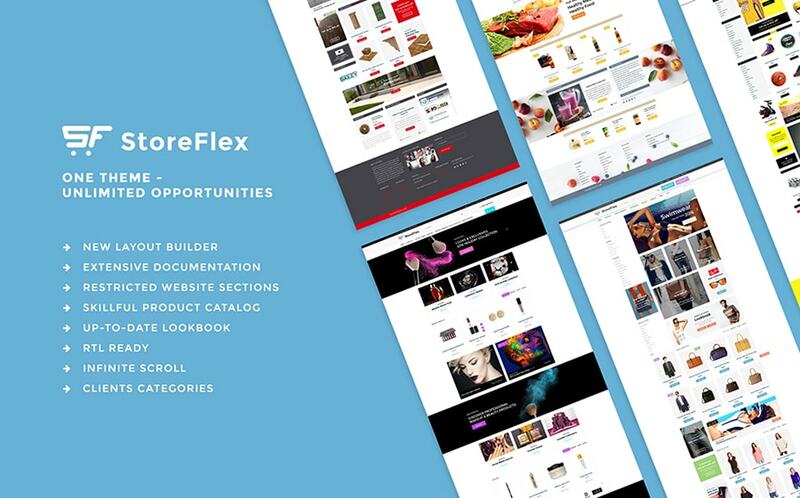 With StoreFlex you choose one template and get five different skins: Fashion, Household Goods, Beauty, Food, Sports & hobbies supplies. More than 20 modules let you easily create a profitable eCommerce site ready to go live out-of-the-box. 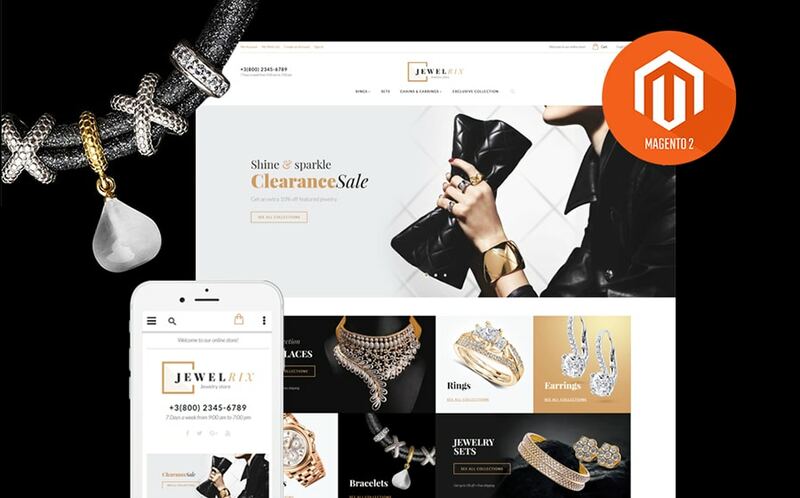 It offers an intuitive layout builder which makes it possible to come across a versatile presentation of eCommerce projects on the fly. MegaMenu, RTL ready, multilanguage & multicurrency, product catalog, clients categories, gift certificates, smart product filtering, Ajax search, product badges, add to compare, wishlist, extensive color schemes and many other elements are integrated into the theme to provide the users with the seamless online shopping experience. If you need to create a unique and authentic homepage, use Multifly. The theme allows doing this in a few clicks just changing the blocks according to your taste. 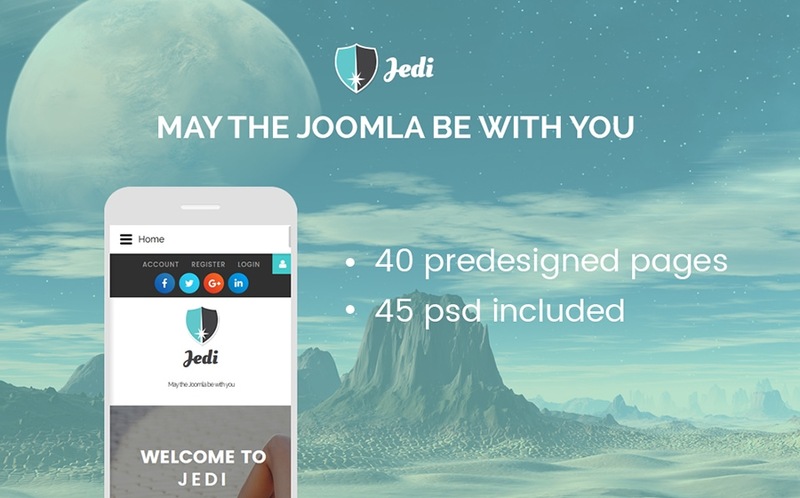 The theme includes a customizable homepage with 15 ready sections. Multifly is multilingual and multi-currency, which allows to accept multiple currencies and sell your goods internationally. This PowerPoint Presentation Template is designed to meet all the requirements of the corporate and business clients. It is fully editable and customization for any types of businesses. The theme should be edited in PowerPoint, no graphic software needed. The template offers 12 additional color theme options. The theme was created for music bands, musicians, DJ, producers, labels or organizers of events and festivals. 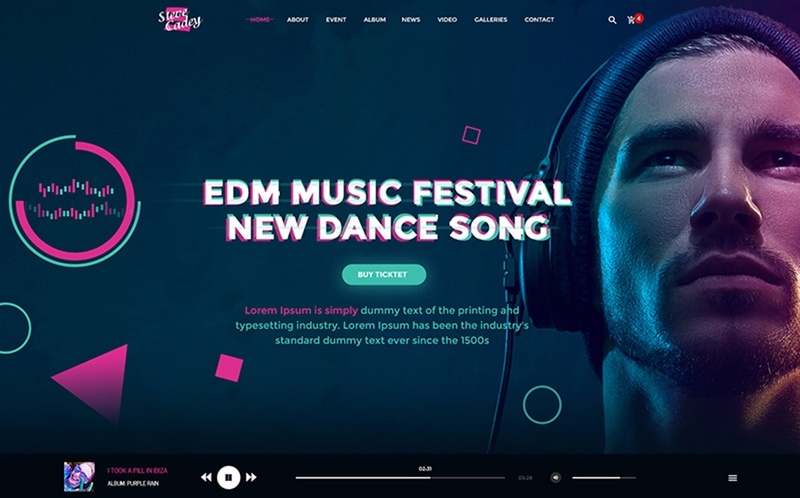 The template complies with the latest trends like using glowing effects for flat buttons when hovering and amazing high contrast color that is perfect for music websites. The design provides cool features like showing off upcoming events, event tickets and selling, featured artists, photo galleries, embedded videos and audio files. It also lets you show blog or hot news and any other information for fans. That’s it. It’s time to roll over our festive showcase. We hope you liked at least one of the templates featured above. Would you like to view the whole collection? 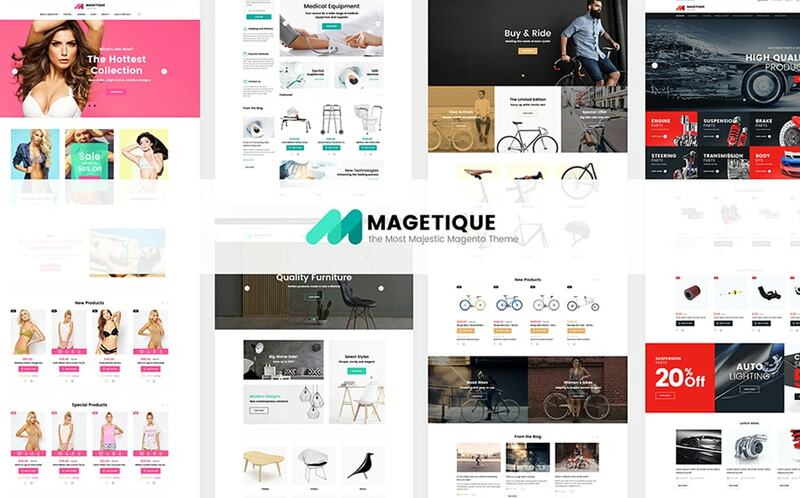 Check TemplateMonster Marketplace and find thousands of great templates! And don’t forget about the promo terms. All TemplateMonster’s products are sold with 35% discount from 9th to the 11th of April!